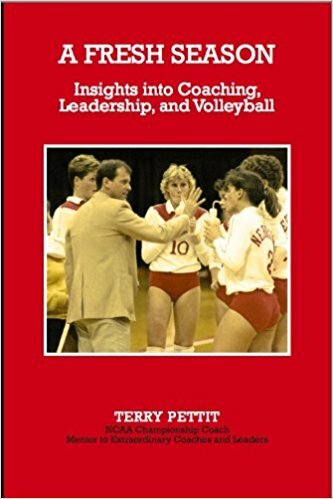 I previously reviewed Terry Pettit’s book Talent and the Secret Life of Teams. 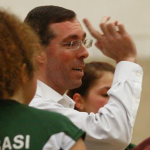 I also interviewed Terry for the Volleyball Coaching Wizards project. A Fresh Season is Terry’s second coaching-related book (he published a book of poetry). Like the first, this one is a collection of different essays and the like, including a poem or two. 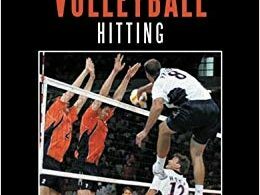 This is not a coaching book, per se. You are unlikely to learn from it how to do X, Y, or Z. Rather, it’s a variety of stories, observations, and commentary. Some of it is recent in origin, while other stuff seems to have been written years ago originally. The subject matter is all over the place. For example, there is an essay by one of Terry’s daughters that is a kind of “letter to my freshman self”. 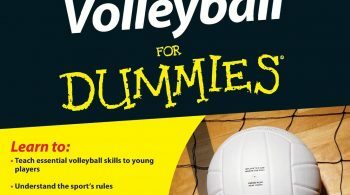 In it she offers advice on how to get through that first college season, and the seasons to follow. There’s a chapter called A Letter to the Parents of a Prospective recruit that is a coach’s appeal. 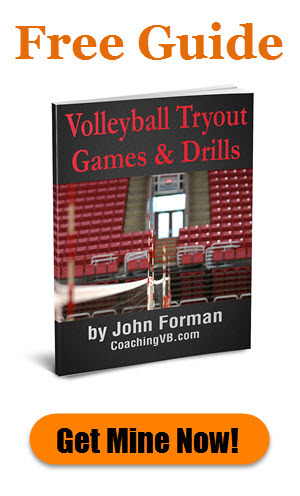 If you coach college volleyball you will seriously think about using it in your own recruiting efforts! A theme of a couple of different chapters is the idea of being uncomfortable. Terry advises recruiting players who have willingly made themselves uncomfortable. He talks about how players need to be put in uncomfortable situations to develop. He also admonishes coaches to put themselves in uncomfortable situations. We cannot, he says, demand less of ourselves than we do of our athletes. 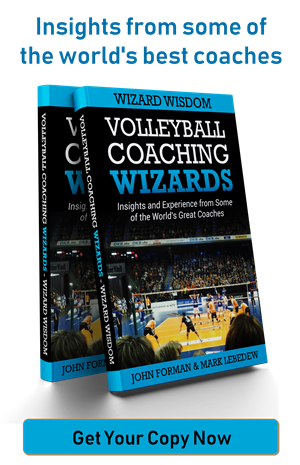 There is a chapter outlining the factors which predict future head coaching success. Prior head coaching experience is top of the list. Not surprisingly, passion and integrity also rate quite highly. Terry focuses directly on juniors coaches in one section. It’s perhaps the one part of the book where he gets pretty explicit about what he thinks they need to focus on. People probably won’t agree with everything he says, but at least is provides plenty of food for thought. Another repeated theme in the book is recruiting, requiring, and relating. Terry introduces them as the Three Rs of Coaching in one chapter. They then pop up again from time to time in other chapters. Those are some of the highlights. There are nearly 40 chapters, but the book is only about 180 pages, so each is quite short. 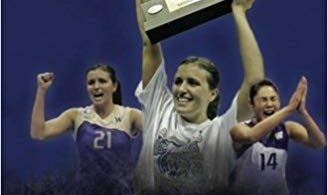 The only lengthy one is the last (nearly 20 pages), which relates the history of Nebraska Coliseum, where Nebraska Volleyball played for so many years – including all of Terry’s time coaching there. Overall, I think A Fresh Season is a good book. 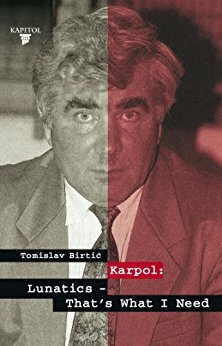 It’s length and structure make for a pretty quick read. At times it’s funny. In many places it’s thought-provoking.